The Missouri Mom: There's an App for that? Guess what I discovered today? There is an App for that; oh yeah baby! 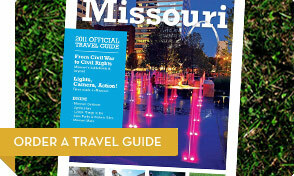 Missouri's Official Travel Guide and Missouri State Parks have an App! Yes, we live in a hi-tech state with some hi-tech coolness! Check your App store, search for Missouri tourism and Missouri state parks....and Guess What it's FREE! You can upgrade for a better version for a couple of dollars with better maps, but that is totally up to you! Now if only I can get an Adventures Among Us app!